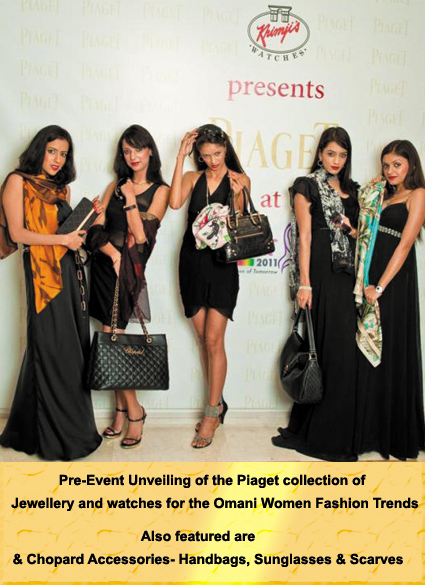 Omani Women’s Fashion Trends 2011 is a yearly event promoting excellence in Omani Fashion Design. Khimji’s Watches has supported this event for the second year in a row. The by invite only .. fashion show will be held at Al Bustan Palace on Thursday, 13 October, 2011. The OWFT also raises funds for charitable organizations that support women in the Sultanate. This event will also raise money for The National Association for Cancer Awareness. Khimji’s Watches is a proud sponsor of this event.